The differences between high- and low-income countries are obvious when you compare access to electricity, financial services and infrastructure such as paved roads, but there’s one area where the developing world is catching up fast -- mobile phones. 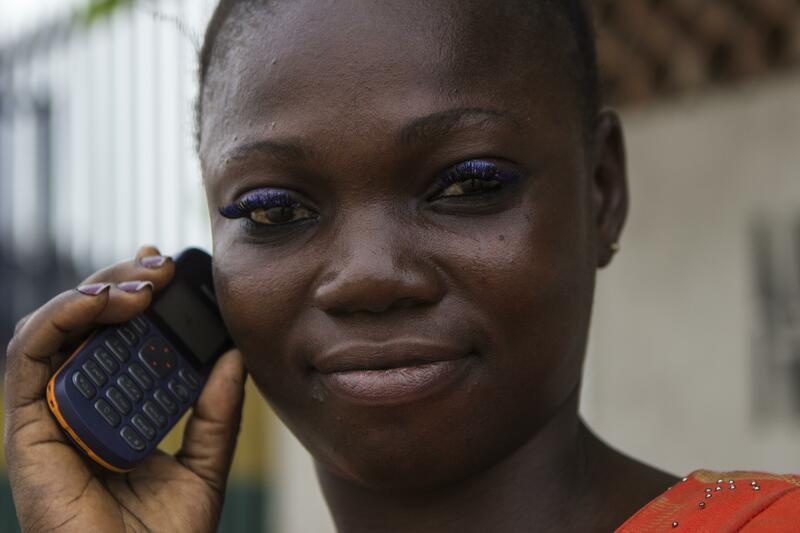 “When it comes to mobile connectivity, rich and poor countries are increasingly looking alike,” wrote senior World Bank economist Borko Handjiski in a blog post this week. 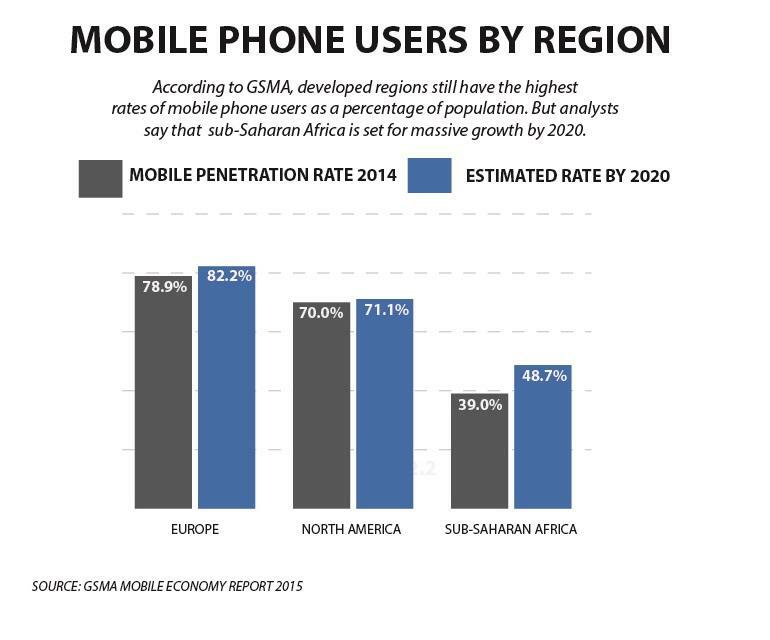 While sub-Saharan Africa still has the lowest mobile penetration rates of any region, it’s now on a path of exponential growth. According to GSMA, a consortium of mobile operators and companies, 39 percent of the adult population in sub-Saharan Africa in 2014 had access to a mobile device, a rate known as mobile penetration, compared to the global average of 49.9 percent. However, as the global average jumps to 59.3 percent by 2020, sub-Saharan Africa will be at 48.7 percent. "Developing markets such as sub-Saharan Africa and parts of Asia Pacific have seen mid- to high-single-digit revenue increases, reflecting ongoing strong subscriber growth in the regions with the lowest penetration rates," according to the report. 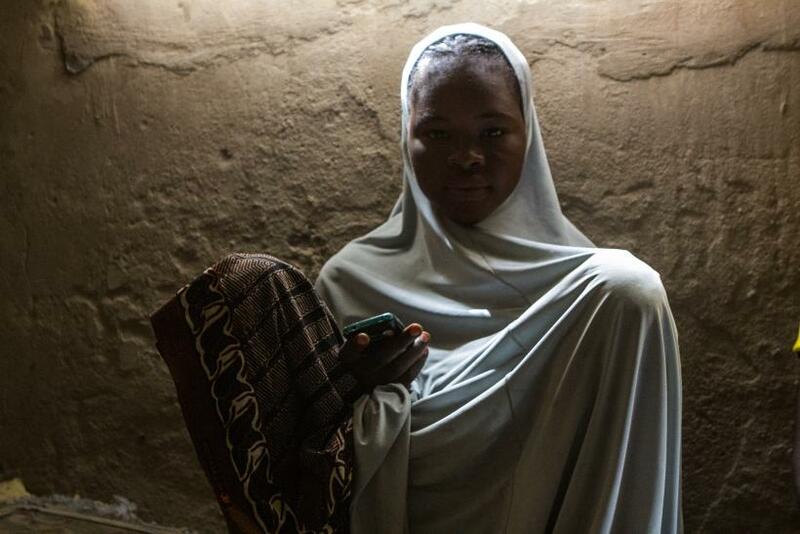 In many countries, phones have become a resource to connect people who don't have a computer or a television to entertainment and services. Handjiski acknowledges that a dearth of resources such as electricity, roads and medicine "makes it difficult for developing countries to produce goods and services that are energy-intensive, or need efficient land transport or a healthy workforce,” he wrote, citing World Bank data that shows just 32 percent of the population in sub-Saharan Africa have access to electricity and just 26 percent are able to tap into financial services. “However, in today’s modern economy we are witnessing a rapidly expanding array of services with mobile technologies as their backbone,” he noted. Sub-Saharan Africa currently has the smallest portion of adults who have access to a banking institution. But in January analysts at Frost & Sullivan predicted that the mobile-payments market in the region could be worth $1.3 billion by 2019. The projected growth could be the key to solving this financial inclusion problem. 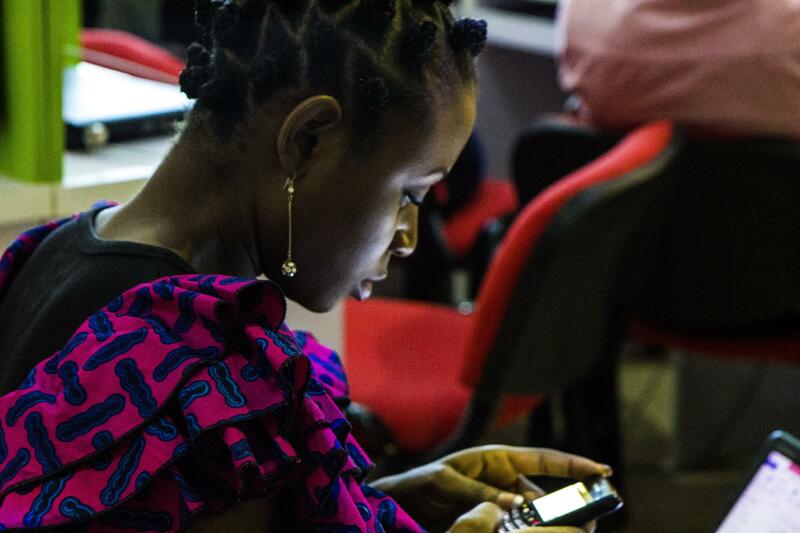 And, according to Handjiski, this is just one of many ways mobile connectivity will bring regions such as sub-Saharan Africa closer to their developed counterparts, especially when the public sector steps in with support. “Banks are moving online, retailers are moving online, entertainment services are online; governments are not,” Handjiski wrote, recommending that officials should focus on using mobile networks to help citizens access services such as education. A new reliance on telecommunications infrastructure could help businesses and citizens bypass older systems, which are often riddled with corruption.